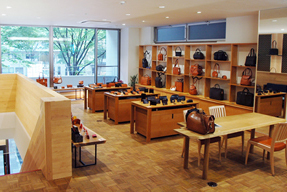 Located in the center of Kyoto city on Oike Street at the Northwest corner of Oike Street and Sakai-machi Street. Please come visit the next time you are in Kyoto whether for business or pleasure. The store assumes a calm, gallery like ambience for you to browse our products. 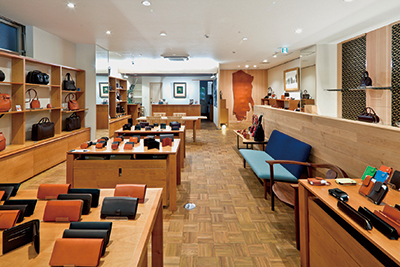 The products at the Oike store fittingly embody the juxtaposition of Kyoto, which epitomizes Japanese traditions of craftsmanship, and Hokkaido, a symbol of Japan's natural beauty and resources. Access to public transit is excellent since the Kyoto subway's Karasuma and Tozai lines both pass directly under Oike Street. 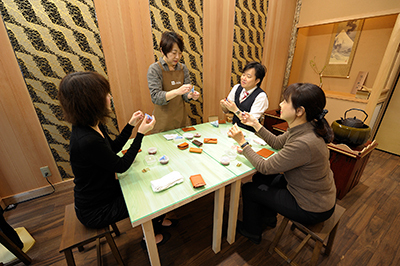 The Leathercraft workshop is conducted in the first floor salon every month. Our experienced staff carefully guide students through the basics of working with vegetable tanned leather so that anyone can quickly learn to make simple leather accessories. Please contact the store to reserve a space in this workshop. Introducing the Chidori (Japanese Plover) emblem of the Kyoto Oike store. 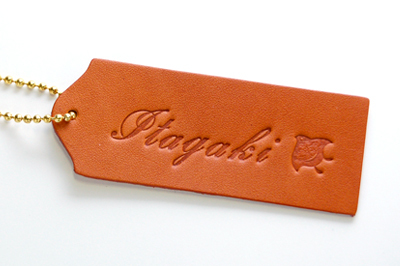 Each Itagaki store carries its own unique emblem which customers can choose to have embossed onto their store bought Itagaki products.The Chidori emblem is not available at other stores and serves as a unique reminder of your trip to Kyoto. 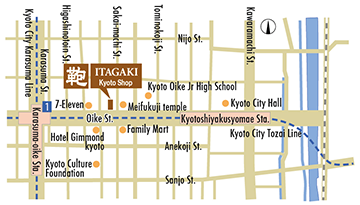 ・The store is a 3 minute walk from the Kyoto Subway's Karasuma Oike station, the only transfer point at which the Karasuma and Tozai lines meet. ・The Oike Underground Parking lot is close by.